Josephine Beatrice Bowman was born in Des Moines, Polk county, Iowa on December 19th, 1881. She was the second of five children born to Colonel Martin Thomas Van Buren and Josephine Webber Bowman. Colonel Bowman was born and raised in Maine. He left his home and joined the First Maine Cavalry during the Civil War. After a long and distinguished military career, the Colonel moved his family to Des Moines and stayed there the remainder of his life working for two different Governors. Mrs. Bowman was also from Maine and was able to trace her ancestry to early New England colonial settlers. For several generations, they were seafaring people. Maybe this was why Josephine Beatrice felt the call of the sea and joined the Navy. Between the Colonel and Mrs. Bowman they had 8 children of which 3 died infancy. Beatrice was born during the heart of the Second Industrial Revolution. Railroads were being constructed quickly and "skyscrapers" were being built on what seemed like every corner. The economy in the United States at this time was booming. It was a time when new ideas were praised and inventions were becoming more and more impressive. It was truly a grand time to be born and Beatrice was right in the middle of it. One of the biggest changes in history at this time was the increase in opportunities that women were being afforded. Obviously, this had a huge impact on Beatrice. During the mid to late 1800s, women were gaining the right to vote in several states. Harvard was the first college to open its doors to women and that happened only 45 years before Josephine was born. As Josephine grew up, she made up her mind “to fit herself for some profession so that she could be independent and live a life of usefulness (McKay, 1964).” When Josephine decided to become a nurse, she was met with some family resistance. However, she had a chance encounter with a distant relative, Miss Jennie Cottle, who was appointed Superintendent of nurses at Medico-Chirurgical Hospital at Philadelphia. Mrs. Cottle gave her information and an application for school. Although her father was not in favor of her decision, he did not stop her from attending, and in the end dropped her off at the school in 1901. The Medico-Chirurgical Hospital opened in 1891, just ten years after Beatrice was born. It was located on the north side of Cherry Street between 17th and 18th St. in Philadelphia. It started as a small school with only 31 students that met on the top floor of a bank. However, it grew quickly and by 1909 it had 700 students. It was a place of high esteem and it drew many medical, dental and nurse training students. The disciplines were separated and the dental and medical students were at the venue longer than the nurse trainees. When the college merged with the University of Pennsylvania in 1916 the Hospital was closed and later demolished to make way for the Benjamin Franklin Parkway. According to the Journal of Libertarian Studies, there were 128,950 practicing physicians in 1904. This equivocated to 1 physician per 637 people. Nursing degrees were not yet established. However, there were over 800 schools of "nurse training" operating in the United States, with about 10,000 practitioners of nursing. At the time a two-year course at an establishment, like Medico-Chirurgical, may cost $200 for a nurse trainee, which in 2017, would be approximately $5,100. To qualify for the program one would have had to have graduated high school and proved competent enough to gain entrance. 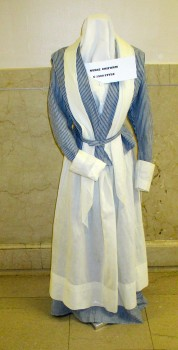 Beatrice was involved in the schooling of not only medical tasks but housekeeping, cooking, and sewing as well. The Trained Nurse and Hospital Review, the Pioneering and Nursing Publication of America was one such manual that was referenced in 1904. It included manuals of practicums such as bacterial prevention, wrappings of wounds, scheduling medicines, tips for epidemics and procedures for setting bones. Times were hard and students referred to as sisters, succumbed to illnesses. The following was an excerpt noting the death of one of Beatrice’s classmates, "Miss Kugler, a recent graduate of the Medico-Chirurgical training school for nurses, died at her home in their Duncannon, Perry Co., Pennsylvania of pneumonia on Saturday, March 19, 1904. It is with deep regret that the nurses of the alumni hear of the death of our sister nurse." Beatrice was a woman who knew what she wanted. She fought fiercely against opposition to reach her goals. While she was in nursing school, Beatrice set her sights to be a part of the Naval Nurse Corps (NNC). At this point, the NNC was just an idea that Congress was exploring. Beatrice followed the debate closely. Beatrice graduated in 1904 and entered the nursing field. Studies of the early 20th-century nurse labor market estimated that approximately 80 percent of practicing nurses worked as private duty nurses, making it, by far, the largest nurse labor field employing nurses. 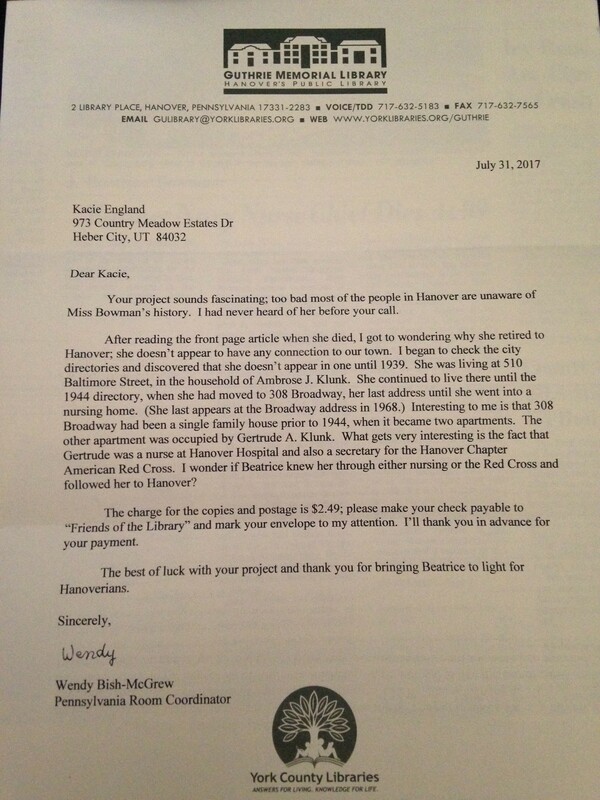 Beatrice chose, instead, the American Red Cross Nursing Service located at the Pittsburgh chapter. Beatrice didn’t miss a beat and started working for the Red Cross right after her graduation in 1904. She worked for a total of 4 years before she joined the Navy. During those 4 years, Josephine took part in the American Red Cross's first disaster relief program. In 1908 a tornado struck the town of Hattiesburg Mississippi. She and others employed/ volunteers of the American Red Cross were sent to Hattiesburg to perform services such as providing a safe environment for those who had recently lost their homes, first aid medical care and emotional support to those devastated by the tornado. She also helped to locate lost loved ones and reunite families. From what the American Red Cross does today in tornado disaster relief it’s assumed she also conducted house damage assessments to help determine if houses were still safe to live in or not. In 1904, the Bureau of Medical and Surgery, without success, had tried to copy the successful female Army Nurse Corps. In 1907, the Surgeon General announced that "the lack of skilled nursing was the most serious omission in the Navy medical system". Subsequently, on May 13, 1908, Nurse Corps (female) of the United States Navy was established by law. It was "unique" in status according to naval historians. "Naval nurses were officially recognized as members of the naval service and amenable to military discipline but held a quasi-military classification, which could not be designated as either commissioned or enlisted status". No positions for retirement/pension were included in the bill. No limits were set as to how many chiefs and/ or reserve nurses could be appointed. Reserve nurses when needed, would be brought on and awarded equal pay to that of regular nurses. Therefore, the Naval Nurse Corps was a mix of regular and reserve groups. (Reserves usually outnumbered regulars). Capable of passing naval administered physical and mental examinations. In addition, written and oral tests on surgical nursing, first aid, dietetics, "materia medica", and toxicology were mandated. Initial pay for a regular nurse was $50/month ($600/year) plus $.75/day for sustenance and $15/month for housing. Housing wasn't provided for initially, so a rental was found and dinners were managed there. The uniforms included a cap. Post a six-month successful probation, nurses received "the special insignia of the corps", a gold plate pin the size of a quarter, which had a dull, rough surface. An anchor combined with a caduceus and the letters "NNC" appeared in blue enamel beneath the design. Beatrice is featured donning this pin atop the Wiki page- note its slight difference in the image below. In 1908 when Beatrice was just 27 years old, Congress approved the formation of the Naval Nurse Corps. Until this point in time, the only nurses associated with the Armed Services were the Army Nurses. In order to apply to this prestigious program, the applicant must have been a graduate nurse with two years of formal training and relative clinical experience. With Beatrice’s four years of experience in the Red Cross, she was an ideal candidate. 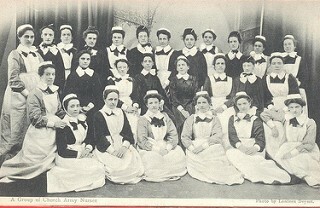 The initial group started out small, with only twenty nurses joining in 1908. 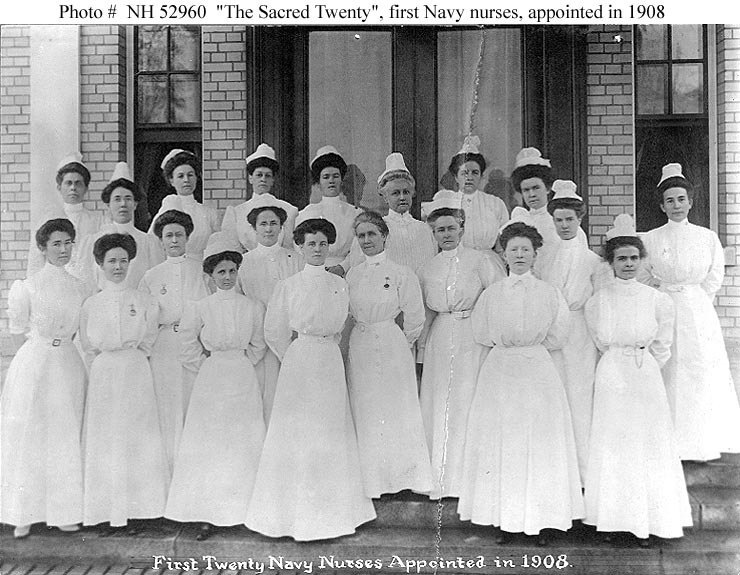 These first nurses were warmly nicknamed "The Sacred Twenty" because of their bravery and significance to the Navy. 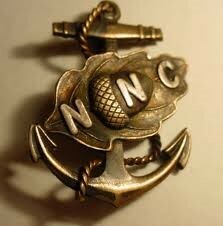 Being the first women officially enlisted Navy, they were not provided with room and board by the Armed Forces. However, they weren’t deterred; instead they rented their own house and provided their own meals. These women were a fierce group and their numbers expanded as the Nurses were assigned to Naval Hospitals across the US. They assisted in everything from working in hospitals and clinics, training soldiers in basic medical procedures, participating in medical work on the front lines of World War I (WWI) (this led to the deaths of 19 nurses), and some Navy Nurses were even loaned to the Army during WWI, putting them in even more dangerous and difficult conditions to work in. When WWI commenced in 1914, Beatrice and one other Naval Nurse were discharged from the Corp and joined the Red Cross. Beatrice served in Great Britain at the Royal Hospital Haslar as a Red Cross nurse from October 1914 to May 1915 while the war raged on around her. Her primary duties were to care for the wounded soldiers. Beatrice returned to the U.S. Naval Nurse Corps in 1915 where she became the Chief Nurse of the Great Lakes Naval Hospital located near North Chicago, in Lake County, Illinois. While there, she oversaw all the nurses at that Hospital, helped combat the Influenza virus outbreak of 1918 and 1919 and cared for soldiers of WWI. In 1919, Beatrice became the first Navy woman assigned sea duty. She later led a group of nurses on board the USS Relief. 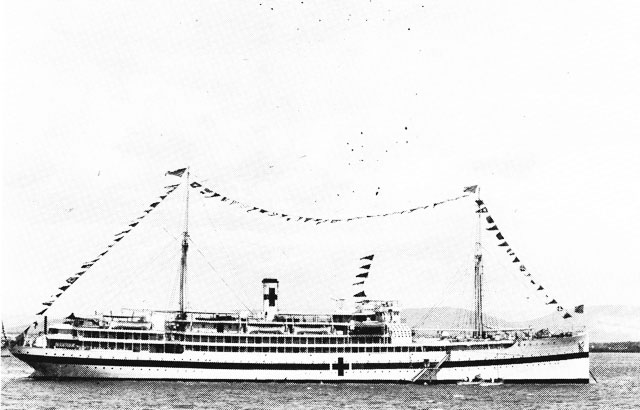 The USS Relief was the first hospital ship built from the keel up. It was commissioned on December 28, 1920, and set sail on February 15, 1921. “The master hospital ship” joined the Atlantic Fleet in Guantanamo Bay, Cuba, aboard were ten Navy nurses and one Chief Nurse, Beatrice Bowman. This hospital ship included 500 beds, 2 surgical suites, hydrotherapy room, dental division, endoscopy suite, ears, nose, and throat suite, and isolation rooms (Bowman, 2012). The USS Relief was 483 feet long, 64 feet beam, and has 64 watertight compartments. Beatrice wrote in a letter, “this ship is so safe that could her funnels be plugged she could in safety go under like a submarine or she could be rolled over and would always right herself (Bowman, 2012).” The ship was painted white with a green stripe from bow to aft. The green stripe signifies a military ship, under the Geneva Convention. However, she did have a large painted red cross on her hull and one of her stacks. The USS Relief was equipped with state of the art equipment of the day, including: x-ray and developing room, animals (cows for fresh milk), blanket warmer, sterilization rooms, “quiet rooms” for the acutely ill patients, ventilation, refrigerated pantries, 2 huge laundry rooms, plenty of ice available, and electricity. In the same letter, Beatrice commented on how well thought out this ship was, “every thought has been given to the care of the sick and the practical manner in which everything has been arranged to save those in attendance is pleasant to think about, for, as we know, when time, as well as the nurse’s strength, is saving it counts for efficiency (Bowman, 2012).” The ship had huge stockrooms full of supplies and medications ready for a long voyage. Beatrice Bowman felt honored to serve on board this beautiful ship. She wrote, ”we are proud of this honor and I have not yet grown so old in years or in the Service, but that to look upon the Stars and Stripes makes little thrills run up and down my spine, and in my heart I have always saluted our Flag (Bowman, 2012).” Bowman served aboard the USS Relief from 1911 thru 1914. After fourteen years of faithful service in the Naval Nurse Corps, Beatrice was appointed as the third Superintendent of the Naval Nurse Corps. She replaced Lenah Sutcliffe Higbee. Several months before her official appointment, Beatrice went to work in the Bureau of Medicine and Surgery where she had an opportunity to work closely with her predecessor. During this time, the women were able to talk extensively about the direction that they wanted the Corps to take. 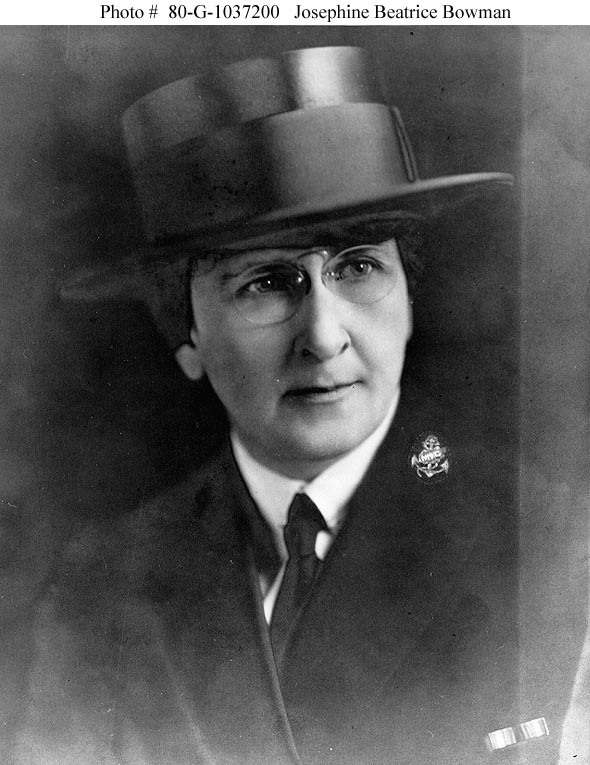 Josephine Beatrice Bowman made many advancements for nursing during her tenure as the Superintendent on the United States Navy Nurse Corps from 1922 to 1935. Lieutenant Commander (LCMD) Bowman was interested in achieving high standards for the Nurse Corps. In a meeting of the American Nurse Association in April of 1914, she said “We admit nurses from the best schools in the country who have absolutely no knowledge of the duties of an executive….she utterly lacks training in the most important knowledge of all: tact, diplomacy, and adaptability (Bowman, 1914).” She felt these three characteristics were important for not only caring for the patient but also in training of the hospital corpsmen. As Superintendent of the Navy Nurse Corps, she was a direct report to the Surgeon General for the efficiency of the Navy Nurse Corp (McKay, 1964). One advancement was to ensure that the members of the Navy Nurse Corps received specialized training. Advance courses were made available in dietetics, laboratory techniques, anesthesia, physical therapy, and tuberculosis. Initially, six nurses were assigned to a course in laboratory work at the naval hospital in Washington, D.C. Four nurses attended physiotherapy school at the naval hospital in Brooklyn, New York. Due to the large numbers of tuberculosis among the veterans, many nurses were selected to take a course at the U.S. Public Health Service Hospital in Oteen North Carolina (McKay, 1964). By December 1923, thirty-four nurses had taken advantage of the special courses offered by the Bureau of Medicine and Surgery (McKay, 1964). Through the coming years, courses in x-ray, psychology, metabolism, and cardiography, and a postgraduate course in the operating room was offered by 1935 (McKay, 1964). LCMD Bowman wanted every nurse to attend, unfortunately, this was not realistic. Instead, she re-established the Navy Nurse Corp Section in the U.S. Naval Medical Bulletin. The nurses who did attend these courses shared the information through this bulletin, so everyone had access to the information from these courses. An interesting note, these courses were still offered during the Great Depression, even when funds were cut drastically. LCMD Bowman was never able to attend any of these specialized classes. However, her untiring efforts to provide this opportunity for the members of the Nurse Corps made a vital contribution to attaining and maintaining the professional competency for the Navy Nurse Corps (McKay, 1964). Josephine proved that one of the reasons for existence in the Navy of the Nurse Corps was not only the care of patients but also the dedication to train the men of the Hospital Corps of the United States Navy. Discrimination reared its head when an older doctor was recorded as having said that if he were ill and needed care, he would prefer a hospital corpsman to a nurse. 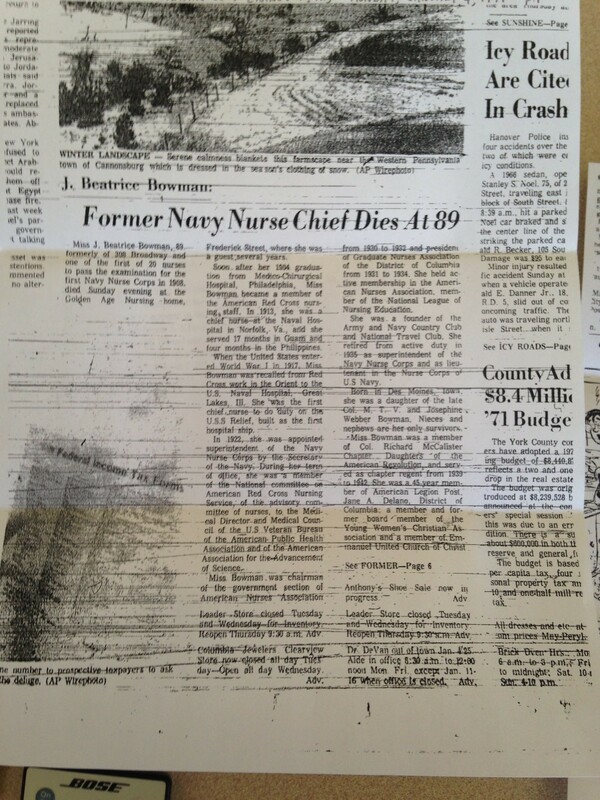 Josephine was able to capture the current Surgeon General's writings which dispelled the notion that nurses were a hindrance. Citing the "high principles, helpfulness, and blessing to humanity", her superior gave his stamp of approval to the Naval nurses. Josephine added that "the nurses themselves took command of a situation" when no provisions had been made for them and "easily fit in". Good training results were shared by LCDR third Supervisor Bowman, as she recanted the Surgeon General as saying that, "men would board ships or be able to serve in distant stations as well prepared, with greater surety to render services in accord with the best usage....." “having been trained by the women nurses." She also noted that he believed that "economy itself dictated that provision" and "greater suffering has occurred" due to underutilization of the women as valuable nurse training resources. Not to omit anything, Josephine explained that the Naval Nurse Corps also engaged in training the native women in Guam, Samoa, and the Virgin Islands. Education in health and hygiene were the primary object and information discussed manifested in knowledge gained throughout the Islands via native hospital staff and by way of training schools. These were initiated by Josephine's arrangements and carried out under the direction of a naval medical officer. Josephine fiercely protected and bolstered her Naval Nurse Corps during her time as LCDR third Superintendent, United States Naval Nurse Corps. There is no question of the immense contribution that Beatrice made to the Navy Nurse Corps. She was filled with patriotism for her country and love for nursing. She truly wanted the very best for her nurses and for the program. After her years in service, she retired from active duty in 1935. She was succeeded by Myn M Hoffman. Beatrice was still very dedicated to her community. She formed the army and navy country club, as well as the national travel club. During World War II, even though she was no longer in the military, she was the chairman for blood donors in her community. She was very interested in the activities of the youth, she donated her cottage to her local church, which was used mostly by the churches scouts. 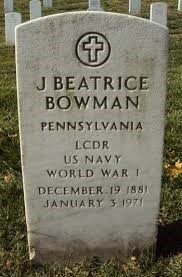 Josephine Beatrice Bowman passed away on Jan, 03 1971. At the age of 89. 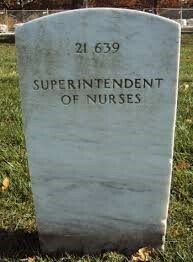 She will always be remembered as one of the great nurses of history. (1904). The Trained Nurse and Hospital Review, 32. Bowman, J. B. (2012, December). Master Hospital Ship. The Grog. Former Navy Nurse Chief Dies at 89. (1971, July 4). Evening Sun, pp. 1-4. Retrieved July 31, 2017. Hamowy, R. (n.d.). The Early Development of Medical Licensing Laws in the United States 1875-1900. Retrieved August 10, 2017, from https://mises.org/sites/default/files/3_1_5_0.pdf. McKay, B. A. (1968, June). Contributions of Josephine Beatrice Bowman to the U.S. Navy Nurse Corp (Doctoral dissertation, Catholic University of America Libraries, 1968) [Abstract]. 1-64.